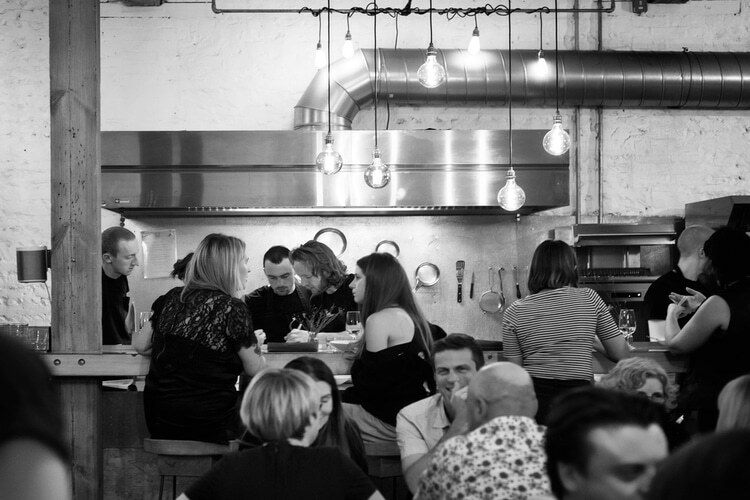 Silo restaurant is starting their 3rd year trading first as a coffeehouse and bakery and now as a restaurant and cocktail bar, Silo, the UK’s first zero waste restaurant has certainly evolved over the years. 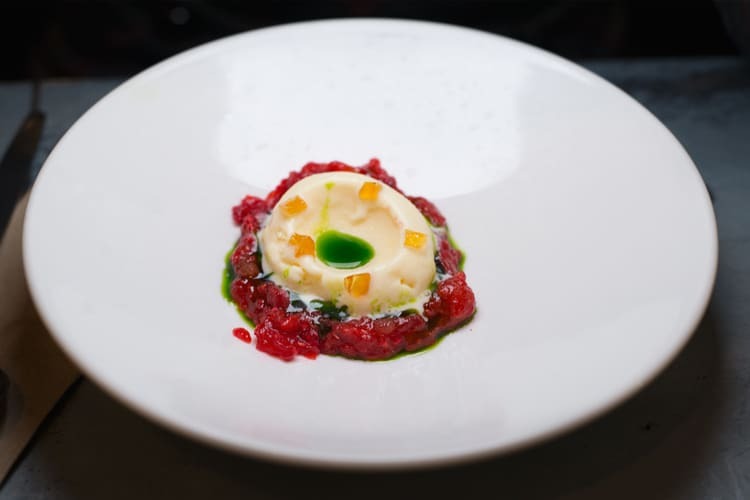 Awarded The Observer Food Monthly Best Ethical Restaurant in 2016, Silo continues to blow the minds of foodies and sceptics alike. Douglas McMaster’s pre-industrial food systems sees the restaurant making their own butter, sailing raw cacao across the Atlantic, growing mushrooms in their hall, and collaborating with foragers, interceptors and farmers with the same vision “if it comes in a packet, something must be wrong with it”. The interiors remain minimalistic but with an upgrade on comfort. School chairs replaced stiff wooden boxes, the new bar has 6 stools along so you can sit there if Chefs are not your thing and the latest addition is a sofa at the lounge including 3 funky coffee tables made out of recycled plastic bags. 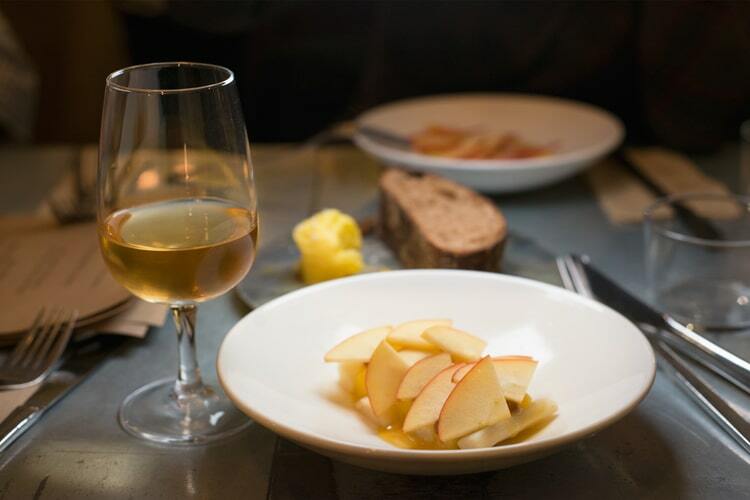 Fully licensed for a while now, Silo restaurant has a very interesting drink selection, their wines are hand picked by the team following similar ethical production methods so most of the wines on offer are natural, organic and biodynamic. A recent collaboration with cocktail virtuoso Ryan Chetiyawardana (Mr Lyan) resulted in an astounding cocktail list mixing superior spirits with fruits and plants following Silo’s ethos, in fact, tonight, Ryan is here doing his magic behind the bar setting the tone for the evening with a rum based cocktail. 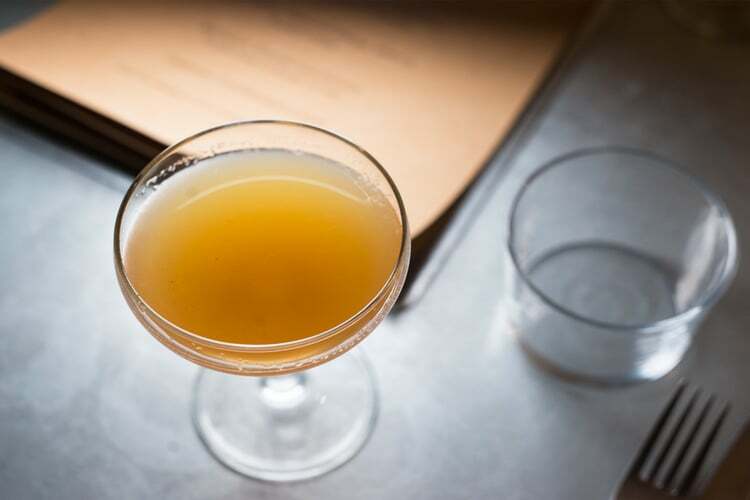 But it wouldn’t be Silo restaurant if there wasn’t a story to tell, right? 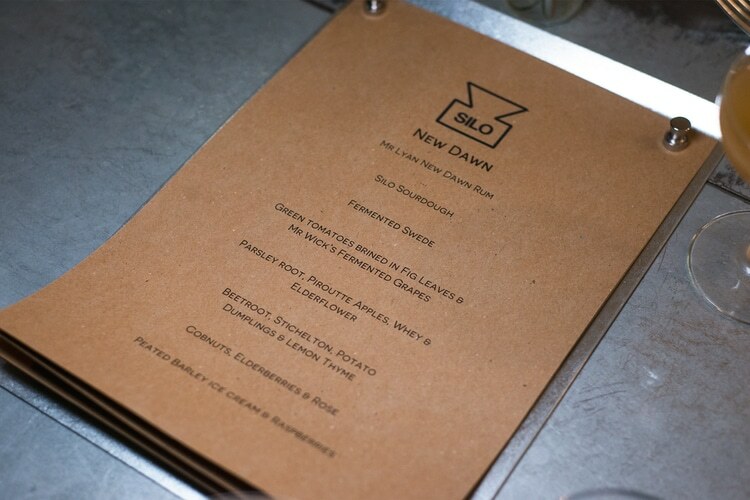 New Dawn Dinner is the name of tonight’s event and it’s inspired by the rum supplied for the cocktail. 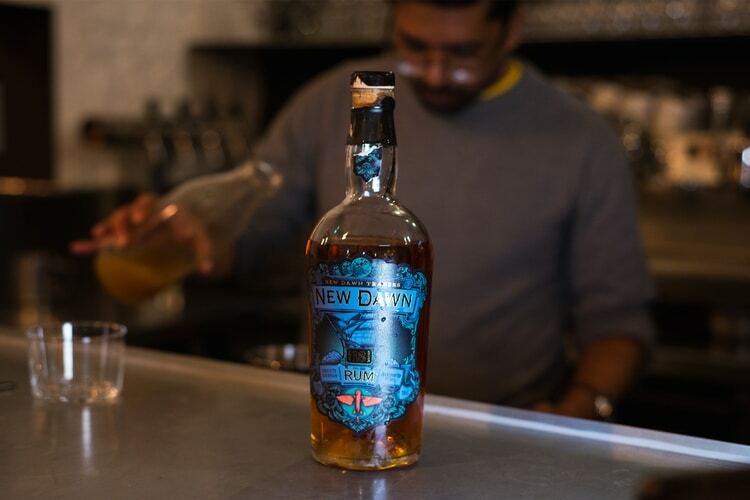 New Dawn Rum is made in Dominican Republic; aged for 18 years in American oak barrels and then shipped on a zero emissions schooner, the Tres Hombres. 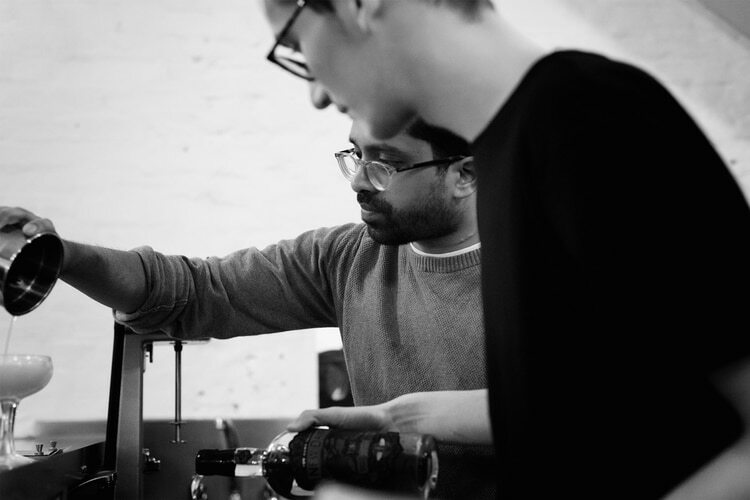 It’s collected by a horse powered cart in Cornwall, and bottled by a local brewer balancing the rum with Cornish spring water. The whole process has an extremely low carbon footprint. After a brief introduction by Douglas and Ryan, dinner is served. 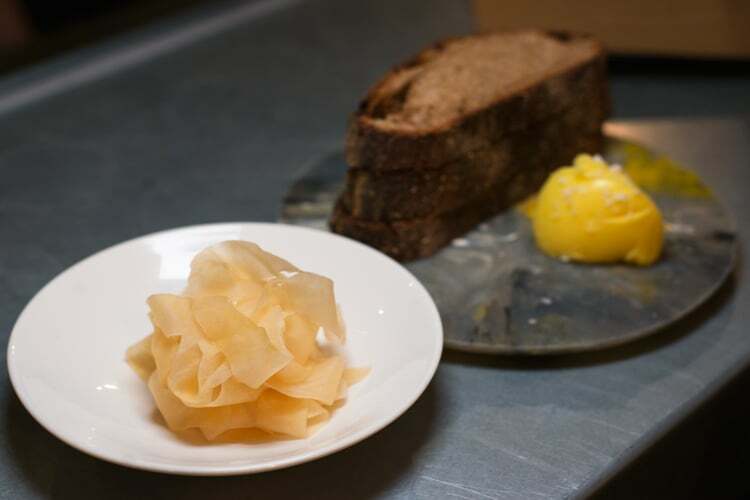 Silo SourDough and Fermented Swede arrive as a sharing portion for the table. I particularly like the pickled freshness of the swede having a ginger-like flavour. Next is a Green Tomato brined in Fig Leaves accompanied with Mr. Wick’s Fermented Grapes. This dish is as local as it can get; the tomatoes come from a farm just outside Brighton and the grapes are from Doug’s co-owner garden. The crisp acidity of the tomato is very well balanced by the sweetness of the grapes, Being such a green and fruity dish, I couldn’t think of a better option but a glass of Raisins Gaulois, a 100% Gamay from Beaujolais. Smokey, grapey and vegan! 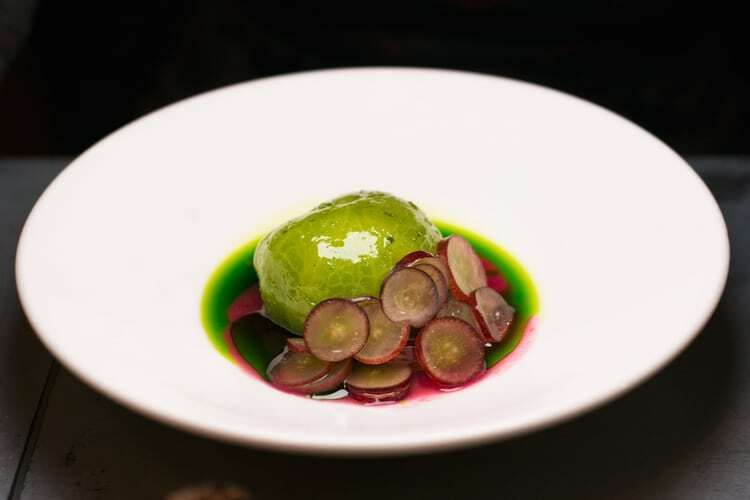 Next was a beautiful dish consisting of Parsley Root, Pirouette Apples, Whey and Elderflower. This dish has it all in terms of flavour, it’s sweet, sour and salty all at once, a genius combination. 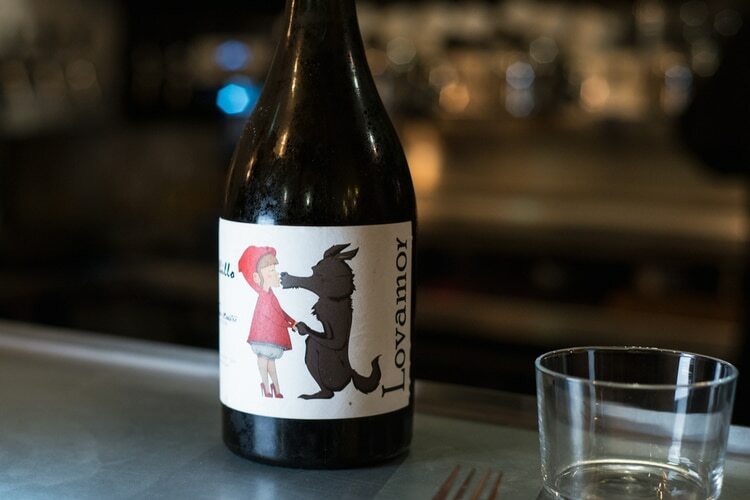 It’s nicely paired by a glass of Lovamor Albillo, a very floral natural wine from Ribera del Duero in Spain. The main course consisted of a Silo classic, a favourite of mine and the guys next to us at the table. 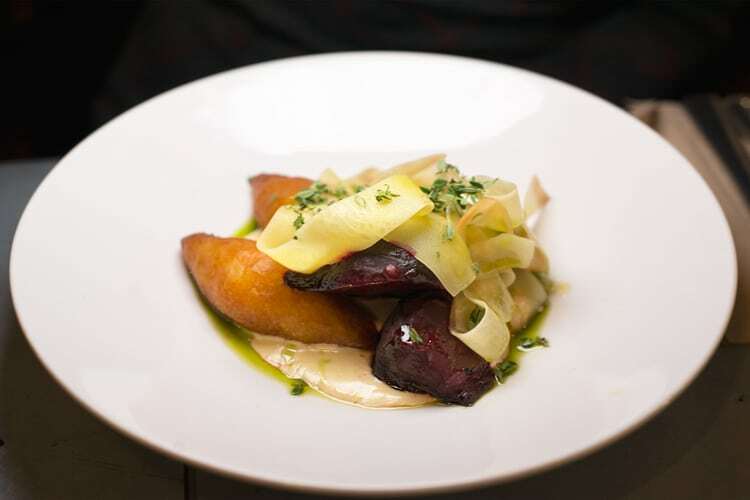 Beetroot, Stichelton, Potato dumplings and Lemon Thyme. We enjoyed this one so much that I forgot to ask for a wine pairing; this dish is packed with neat flavours from each ingredient. After a short break, dessert is served. An interesting combination which had mixed reactions from everyone at the restaurant. Cobnuts, Elderflower and Rose. The flavours were there, exotic and perfumy, loved the elderberry and rose combination but the texture wasn’t for me this time. But to my luck, the Peated Barley Ice Cream and Raspberries was divine! I could eat a tub of that ice cream while watching Star Wars! The barley is sourced from a whisky distillery in the Highlands, that explains the intense smoky flavours, the raspberries are just a touch of fun to this dish. 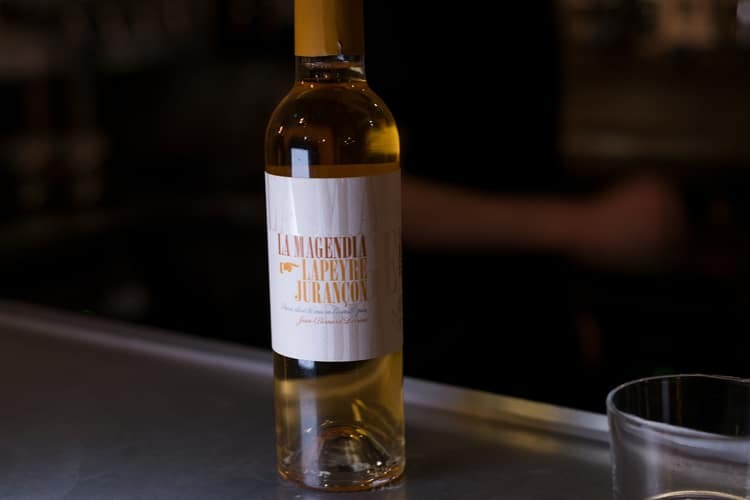 The perfect match for this dish was a glass of La Magendia Jurançon, a personal favourite made from raisined Petit Manseng grapes that comes from the South-West of France, in the Pyrenees… the perfect way to end the night. The event was a total success for Silo, and there was a great turn out of Brighton locals, I was pleased to see many familiar faces and say hello to a few friends. 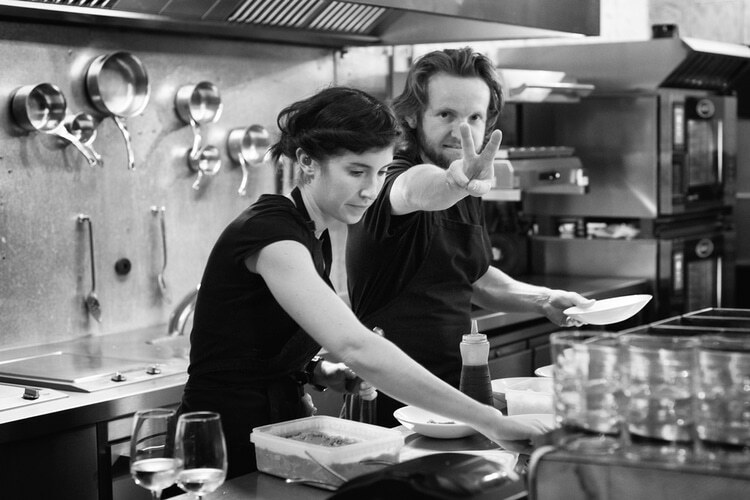 Staff were incredibly cheerful and made us feel at home and I was very happy to see Doug at his best cooking the menu, serving it and chatting to everyone present in the restaurant. The atmosphere was cheerful, and I wished we could stay for a few cocktails afterwards but we had an early start the following morning.